Jorge Rojas is an Argentinian musician and composer of traditional folk music. Currently a very successful solo artist, he began his career in music with Los Nocheros, in 1993. Having toured for 12 years in Argentina, Mexico, Colombia, Venezuela, Chile, and Paraguay; Los Nocheros sold over two million copies. Rojas decided to leave the group in 2005, and his two farewell concerts were attended by 70,000 fans. His first solo album is made of many romantic songs in his well-known style, and traditional Argentinian huaynos, zambas and chacareras. His award winning second album, entitled ‘Jorge Rojas’, sold over 30,000 copies in the first month only. 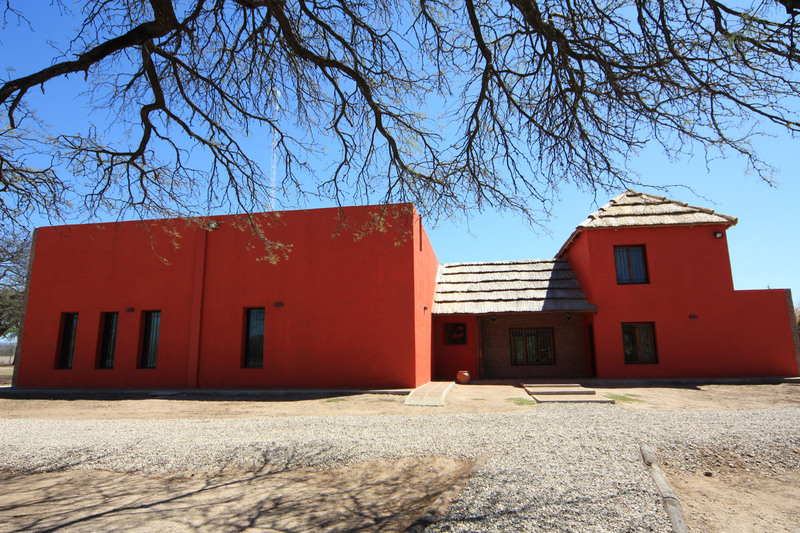 Jorge wanted a space where he could work comfortably, close to his home in the small mountain town of Anisacate, Córdoba. 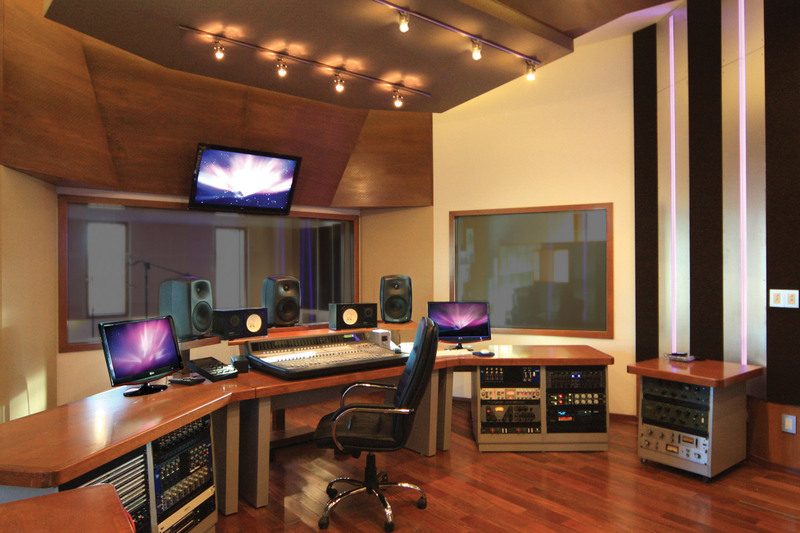 It was very important to him that the studio should maintain the aesthetic feel of the space, using plenty of natural light and earthly colors, but at the same time highly technological. 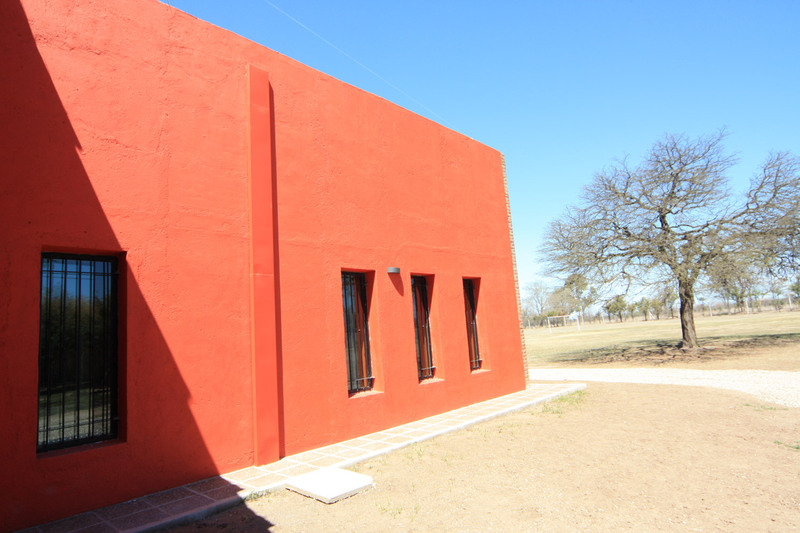 El Algarrobo (The Oak Tree) is a very large and relaxed environment, designed and built from the ground up by WSDG. 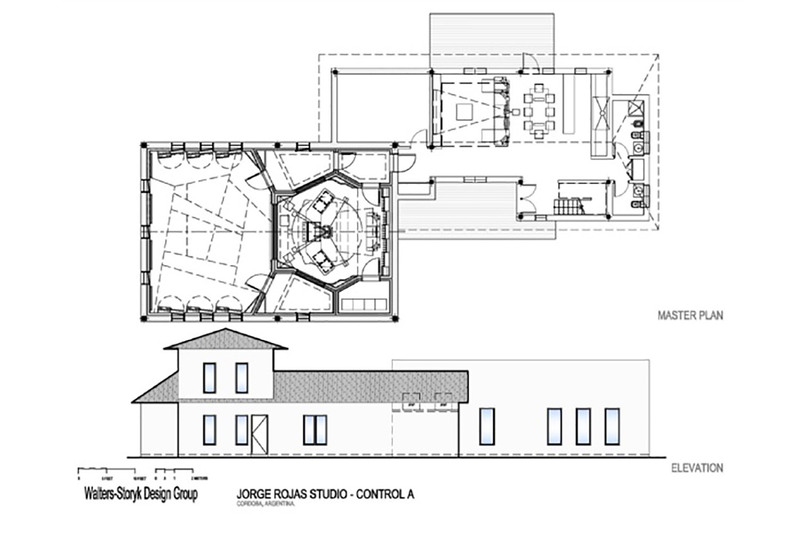 The complex is 3,121 square feet; it includes a large studio, a control room, machine room, a relaxed area for the musicians to hang out, a post production room, an office, and plenty of comfort. 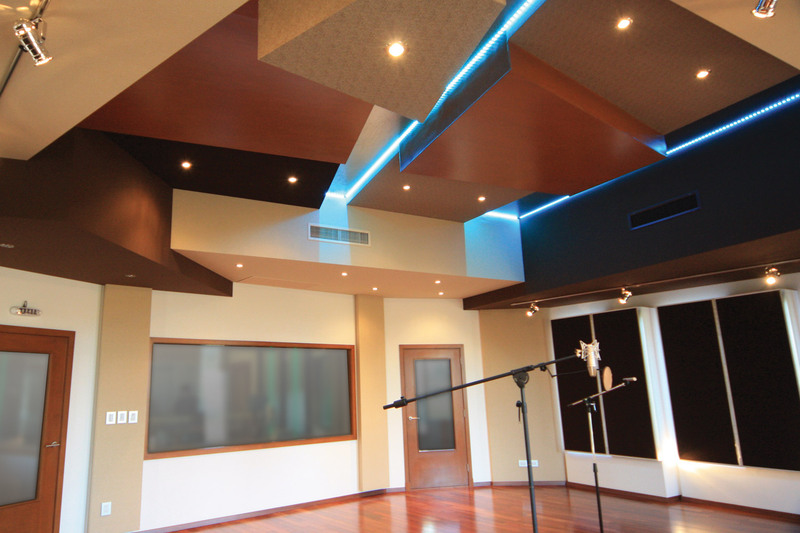 Color changing LEDs were used in ceilings with different shapes and sizes. 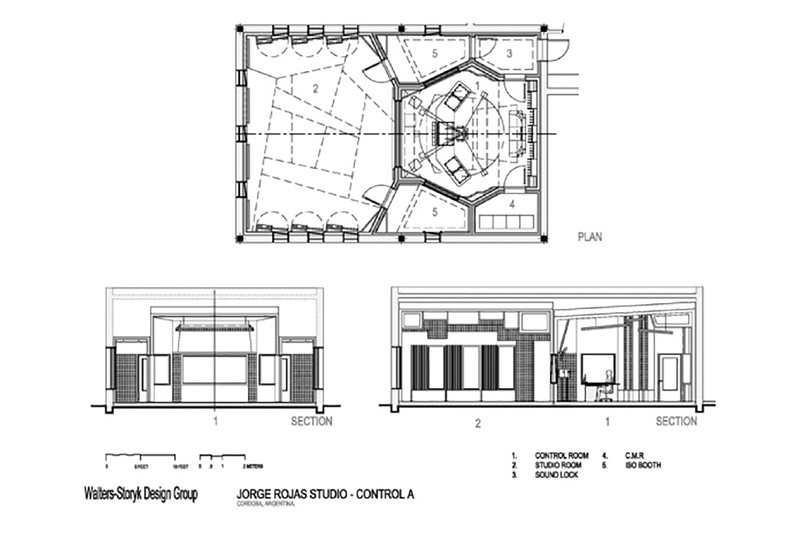 When the lights are turned off, there is a feeling of continuity between the landscape and the inside of the studio. 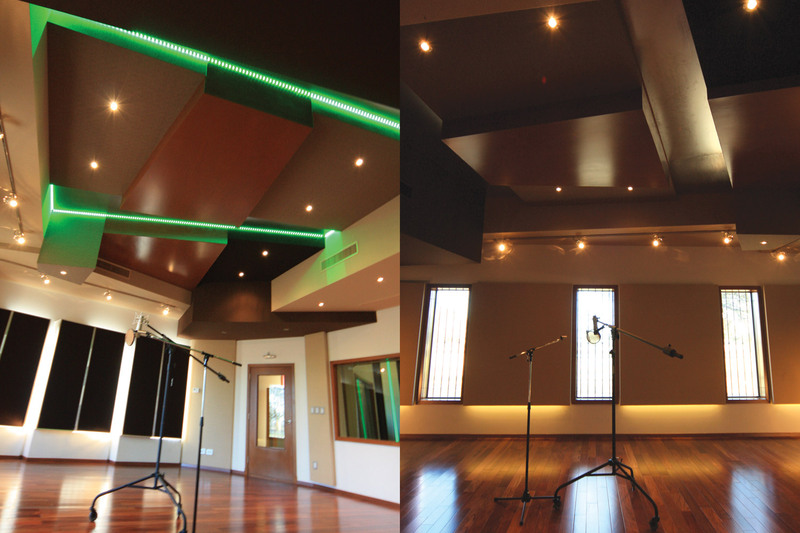 When the lights are turned on, its multiple shapes and colors can be modified to suit the musician’s needs and mood. 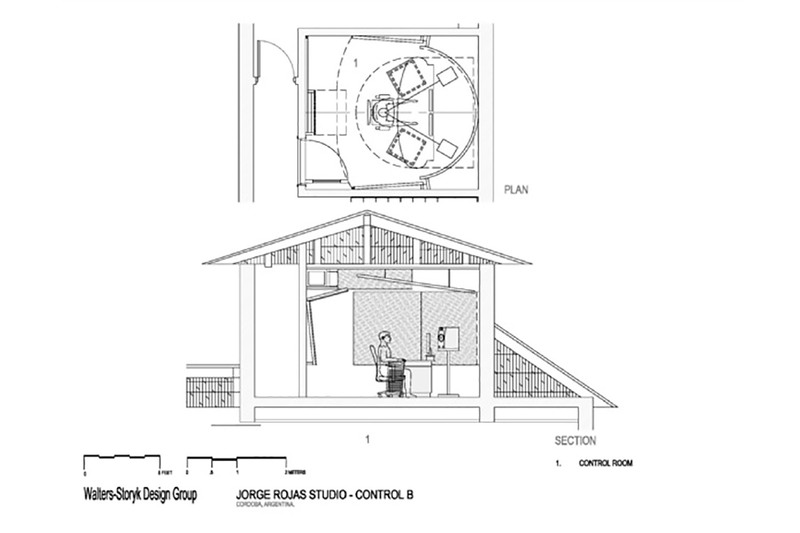 The project took 18 weeks to design and build. 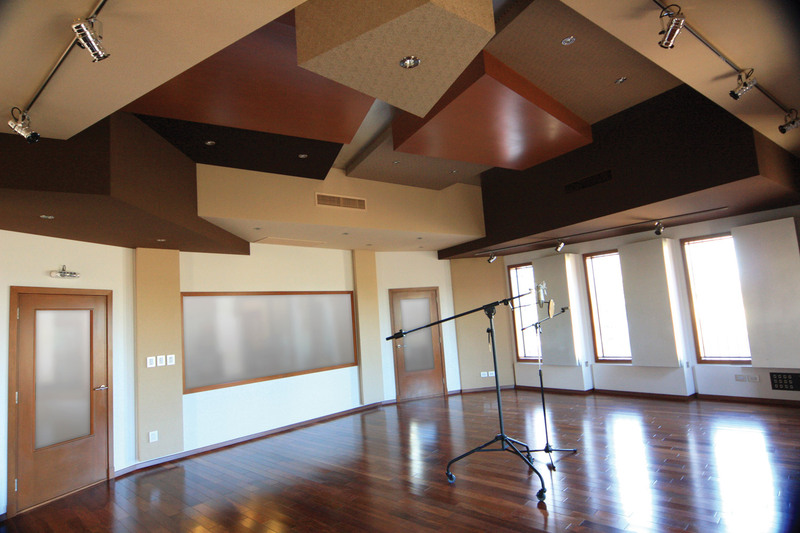 In the control room the requirement was to create a space of maximum efficiency and acoustic performance, which allows for a flat frequency response in relation to time with less than 3db in the frequencies curve. 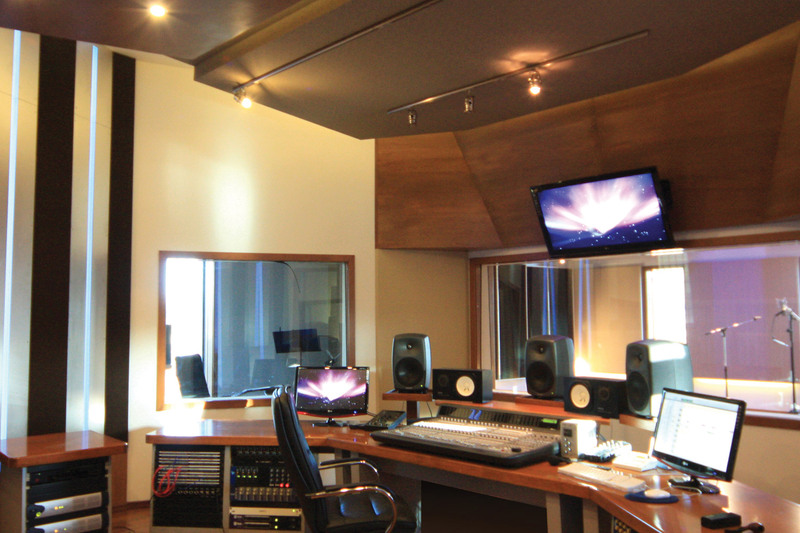 In the recording room a variable acoustics system was designed using panels which allow, with a simple configuration change, to modify the reverberation time (RT60) from 0.4 to 0.8 seconds.